Naeto C today celebrated his 5th wedding anniversary to his wife, Nicole Chikwe. They got married in 2012 and are blessed with two kids. Nicole took to her Instagram page to send Naeto C a message to celebrate today. “Dear @naetosuperc , I cannot believe it’s been FIVE YEARS! When we first got married, we were on this magical high of excitement and infatuation. Five years in, I recognise that what we have now- a deep commitment to each other and our children, a mutual respect for one another and most importantly, a marriage rooted in God – is TRUE LOVE. Because God is love. Thank you for seeking a relationship with Christ. Thank you for giving me room to be who I am. Thank you for choosing to love me on the days that I am hard to love. 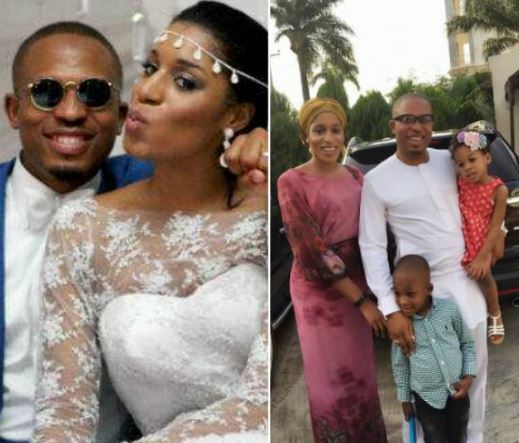 0 Response to "Naeto C And Wife Celebrate 5th Wedding Anniversary (Photos)"